The cast of off-Broadway play, Puffs, showing their school spirit in yellow and black. Everyone knows the four houses of Hogwarts: Braves, Snakes, Smarts, and Puffs. What? That’s not what you call them? 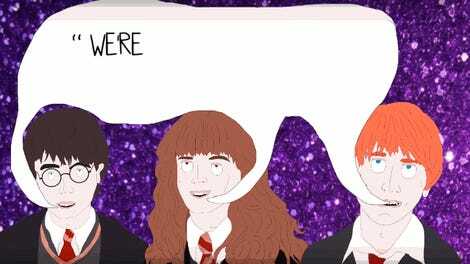 The Harry Potter satire Puffs, or: Seven Increasingly Eventful Years at a Certain School of Magic and Magic does and it’s funnier than anything you’d find in the Weasley’s joke shop. The off-Broadway comedy focuses on that underserved demographic of the world of wizards, and the cast and creators have some emotionally resonant things to say about it. I’ve seen Puffs twice now, my second time as a guest of the show, and I’d 100 percent see it again. 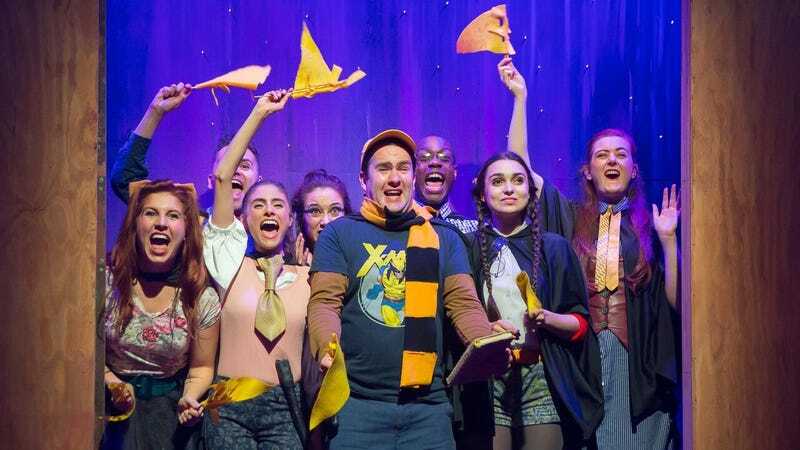 The play does an absolute bang-up job of capturing the famous wizard school from the perspective of the not-so-famous house with earnest performances by the cast and laughs that never let up. io9 is premiering this delightful video of the cast discussing just what it means to be sorted into the yellow and black. Whether you’re a Puff, a Hufflepuff, or one of those other houses, we think you’ll enjoy it. Parker said she sees something new every time. “The show is at once very settled and confident while being fresh and surprising each night. And, of course, you never know quite what [character] Zach Smith is going to say,” she said, referring to a few parts of the play that are improvised in each performance. If you’re not local to New York, don’t worry, a national tour and international productions are in the works, and a live-taping of the show is soon to be released.